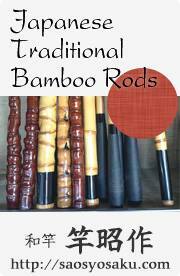 I use Fujino Straight Line on my favorite rods and have caught many fish of all sizes with it. 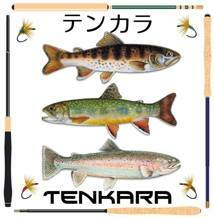 I also use it in a variety of applications, in ponds and lakes and also tenkara in mountain streams. It's a versatile line capable of the lightest and most sensitive presentations. It rivals single strand lines while it is a braided line, a totally different construction than a typical fluorocarbon level line. Dr. Ishigaki designed the line and it works really well for sub surface presentations. The construction appears to be some sort of spectra or kevlar. This line is very tough, almost like gel spun backing but a little different. What ever it is made of, it is strong, limp and has no memory, perfect for casting tight loops. As with most lines, preparing them for fishing is a quick process of straightening coils and stretching the line. With this line, all you have to do is to attach it to the lillian, unspool, rig and cast. It is super limp, no memory. No running it through your fingers, no stretching it out before using it. It doesn't coil or knot up when you break off the tippet unsticking your line from the trees. The construction of it is braided, not furled or twisted, it just breaks the knot and it is ready to rig once it is free. Indicator tip removed and Stonfo tippet ring tied directly on to the line. Fujino Straight Line suspends well. It is not heavy like a multi strand line that lays on the water. It suspends at length and I use the 5m line with 3.9m and 4m+ rods. For the Furaibo (zoom), I cut the braided end off the line. The Furaibo is 3.9m rod stretched out and I like a line that is 1.5m longer than the rod. Cutting off the braided tip gives me a line closer to 4.9m and add in a 50cm tippet and there is my formula, a rod with +1.5m line. To rig the line, I add in a tippet ring. The Fujino Straight Line is comes with a stopper knot. Adding in a tippet ring does not degrade the performance of this line, it just gives it a nice connection (termination) without a kink and a uniform place for the tippet attachment knot to break off while protecting the rod. It's interesting, I've had many people cast and catch fish on my lines, all with tippet rings, and when I tell them the line has a tippet ring, they couldn't tell. I also fish one of these lines almost stock, again, I just tie in a tippet ring on the braided indicator tip. It is clean and petite. The reason why I am writing this endorsement is simple, I enjoy the line and use it quite a bit. I buy mine from Keiichi Okushi at Tenkaraya if you are interested. I think your favorite vendor may also carry them too. I like the tactility, it transmits well. I sometimes use tungsten beads on my kebari and I can feel it dragging along the bottom, hesitating at a rock, loading the line slightly and crawling up a rock, releasing and over the rock, I can feel that. I can feel the subtle take of a small fish and it's tail fluttering. It just might be more tactile at transmitting than a fluorocarbon level line. 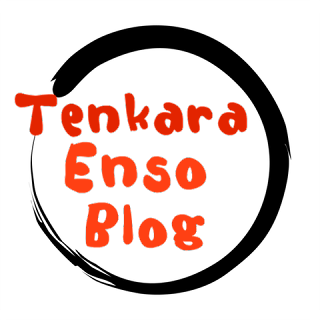 I like Ishigaki-sensei approach with tenkara. He does a great job at promoting level line. If you don't know, historically, Dr. Ishigaki is the leader of level line promotion in Japan. 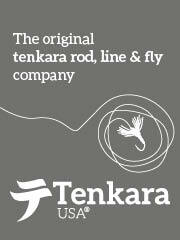 When tenkara started to become sport decades ago, much of the community at that time used other types of multi strand lines. Hisao Ishigaki is the guy who turned a lot of people on to "Level Line" style of equipment and technique. Fujino Straight line is a very light braided line with a straight profile it's entire length, same as the fluorocarbon level lines as we use today. Dr. Ishigaki developed this line to accentuate the attributes of the level line single strand techniques he originated. Fujino Straight Line is light and durable, it handles well, is strong, limp (no memory) and is sensitive, it also rigs nicely. I've used one regularly for two years and it is durable. I think it is an excellent line that competes within the class of single strand fluorocarbon lines. 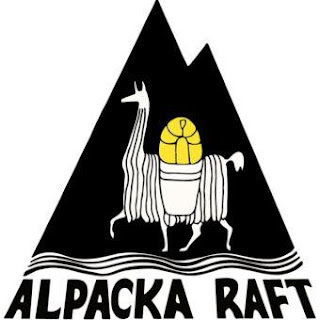 It is relatively inexpensive and with it's durability, it is more than sustainable. It makes sense and I really like it. This is a 4.9m Fujino Straight Line without the braided indicator tip.